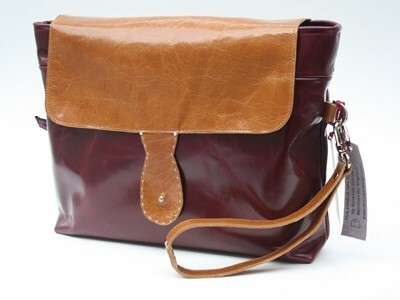 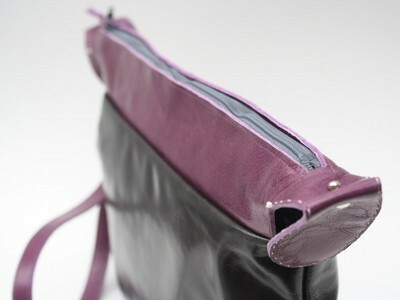 This simple design has a top panel which has been cut and a zip neatly sewn into it. 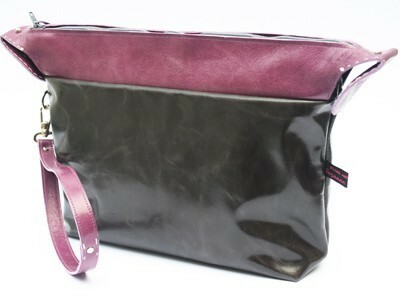 Inside, the bag is roomy and lined in 100% cotton ticking fabric with two double pockets. 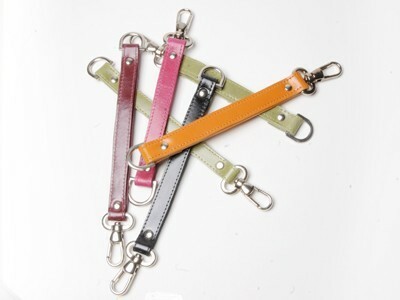 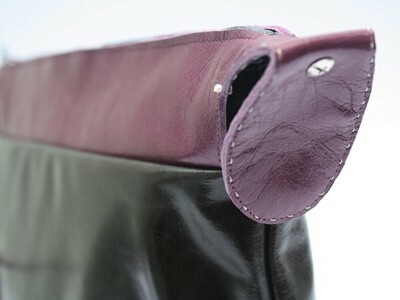 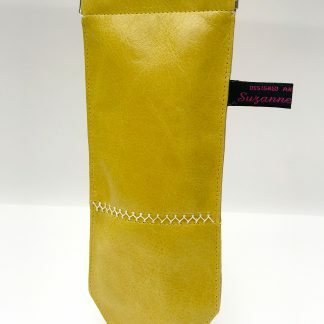 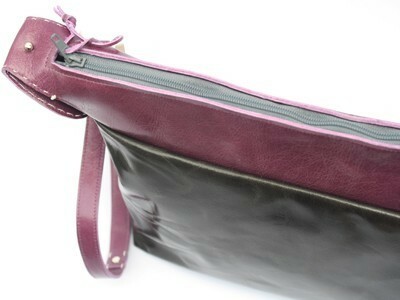 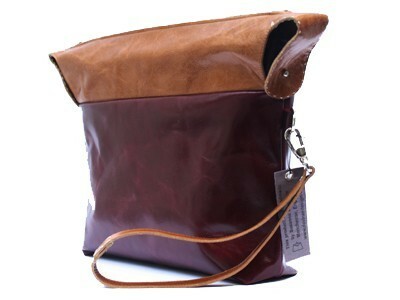 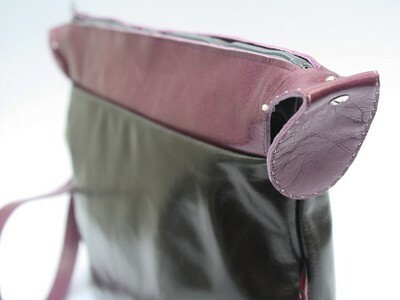 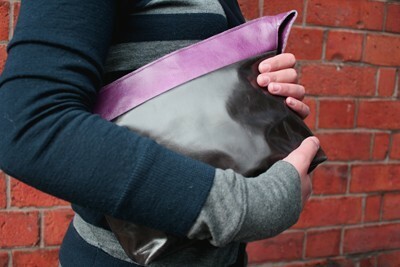 Outer fabric is all cow hide leather with a detachable leather wrist strap finished off with rivets and handstitch work. 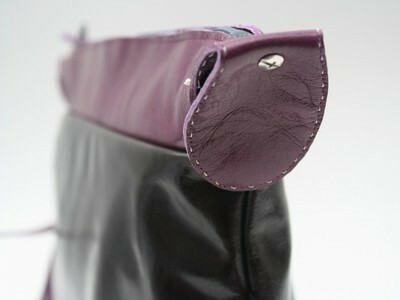 The top panel has folded down side flaps that are secured with metal stud push tabs and are handstitched at either end.